Cam action leverage provides strong penetrating power with little effort. 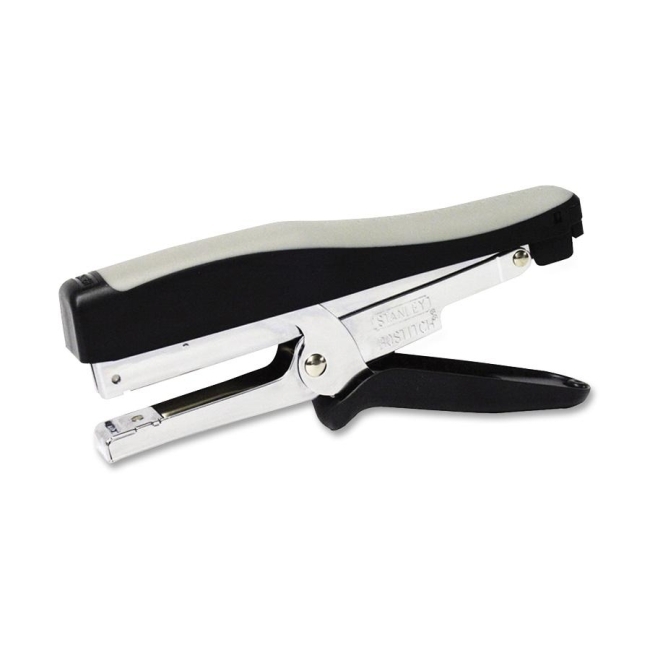 Anti-Jam Standard Plier Stapler uses full 210 strip of standard staples with open channel rear loading. Staples up to 20 sheets of paper. Contemporary rubber grip fits easily in hand. Opens flat for tacking.